The Eastern Europe, including Poland, is well-known for its drinking habits. People are believed to drink a lot of vodka and, in fact, drinking vodka has a very long tradition. For instance, Zubrowka – with a straw from the Bialowieza Forest inside to make the taste rich – has been produced in Poland for over 600 years! What needs to be pointed out here is that drinking in the Polish culture is not just for the sake of drinking. There is something more to it… Drinking is a public affair – people drink generally to celebrate some important (but not always) events. Cocktails or drinks? Definitely not for real traditionalists who appreciate only neat and chilled vodka without ice and any kinds of juices or extra ingredients. 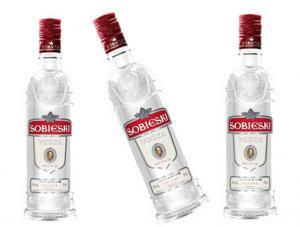 One shot equals to 50ml of vodka and usually is drunk in one gulp, therefore Polish vodka tasting may be quite a challenge for those who are not used to this way of drinking. As soon as the glass is empty another round starts. Of course, before anyone drinks their shot the common toast ”na zdrowie”, which means cheers, cannot be forgotten. To make sure that all the guests will not get drunk too fast, a lot of food is offered between each toast. Traditional Polish snacks include pickles and sausage – a good party cannot be held without them! Also imortant is the fact that being a guest in someone’s house one should not leave before the bottle is empty as it may be considered as rude by the host. The variety of Polish vodka is impressive. The following kinds of vodka are very popular: cytrynowka (lemon), wisniowka (cherries) and pieprzowka (pepper). All kinds of colours and flavours guarantee that everyone will find something that will meet their expectations.